A revolutionary lighting product for your prized possessions. Installs in minutes with no holes, wires, leaks or corrosion! We are a stylish, high quality, exciting, revolutionary new lighting product for the Truck and SUV markets. Remote Controlled, Solar/Battery Powered, Wireless LED Cab Running Lights for Trucks, SUVs & Jeeps from Cab Over America™. 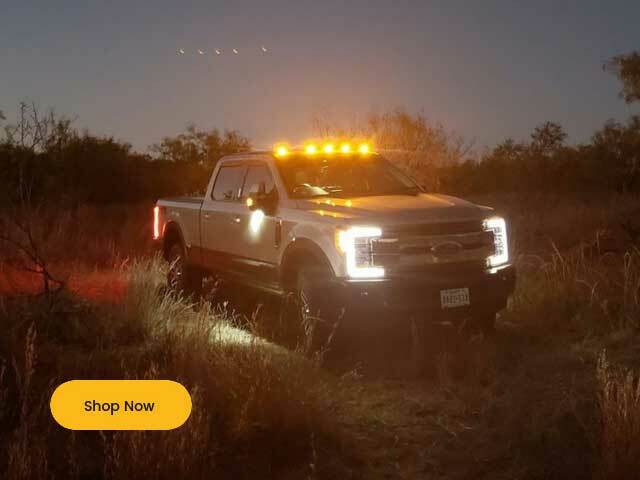 Cab Over America™ lights save you time, money and free you from the headaches and all the nightmares of wired cab over lights at a fraction of the cost. Our cab running lights are installed with no wires and no holes drilled in the top of the cab of your Truck or SUV. 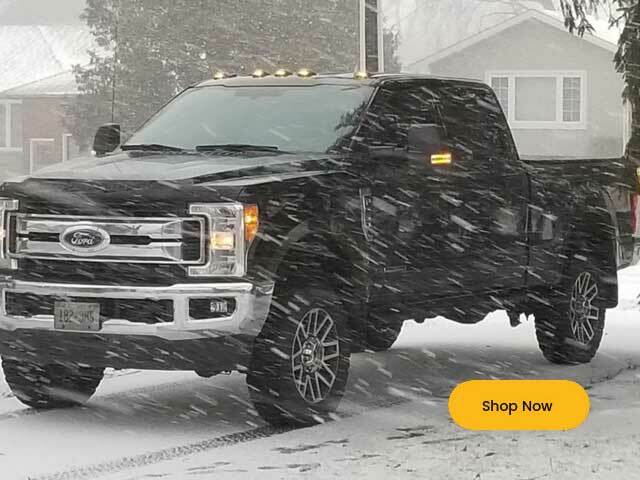 At Cab Over America™ we remove you from all the nightmares involved with installing your cab clearance lights on one of your most prized possessions. You will no longer need 15 holes drilled into the top of your truck or SUV, eliminating water leaks, electrical corrosion and headliner damage that create stains, mold and mildew hazards. This will eventually occur with any standard wired cab over light. They are available in amber or smoked or clear lenses, and they look fantastic! No Holes, No Wires, No Worries. Amber, Smoked or Clear Lens.